Price Reduced. 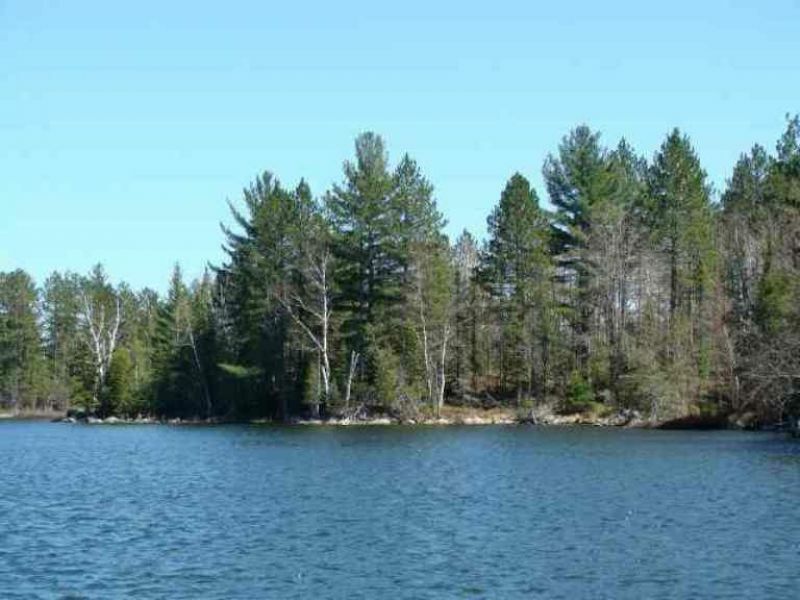 Michigan Waterfront Parcel For Sale - This 31+/- Acre property has 997-Feet of Perch Lake Frontage. 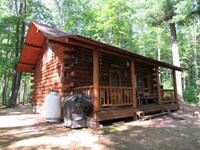 This property is located in SW Marquette County, in Michigan's Upper Peninsula. Perch Lake is located about a mile SE of the Village of Republic. 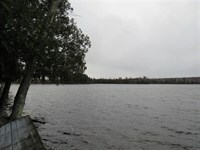 The lake is a "Designated Trout Lake" which covers 46.5 acres and has a depth of about 55 to 60 feet. It is a spring fed lake with great water for boating, canoeing, kayaking, fishing, and swimming. 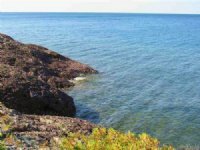 The lake provides fishing opportunities for Lake trout, Rainbow trout, Rock bass, Splake, Yellow perch, and Pan fish. The DNR stocks the lake with 1,500 to 2,500 7-8" Rainbow Trout annually, and 1,500 to 2,000 6-8" Splake annually. Fishing is great in the summer, and in the winter ice-fishing is also good. 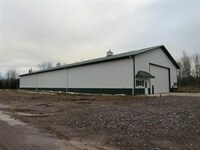 Adjacent to the east side of the property is thousands of acres of Corporate CFA Land, which connects to the Escanaba River State Forest. 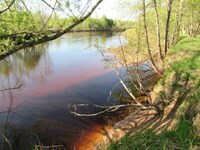 There is "walk in" access to these lands for additional fishing and hunting during season. 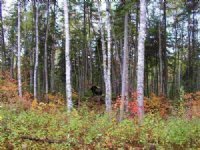 Black bear, Bobcat, Coyote, Moose, Whitetail deer, small game, Ruffed grouse, and all kinds of waterfowl sightings are common. The southern border of the property has about a third of a mile of frontage on County Road LF, which is across the road from the Republic Wetlands Preserve. 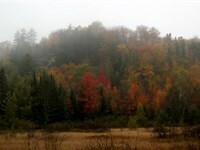 This preserve has over 2,300 acres of upland and wildlife habitat, including 670 acres of wetlands within its borders. Open to the public, there are viewing platforms and trails made safe for pedestrians. Sections of it are opened as grants are obtained. There will be more than 20 miles of non-motorized trails when the project is completed. The Preserve is full of wildlife, and various birds. Documented sightings throughout the area are of species such as sandhill cranes, peregrine falcons, osprey, gray wolf, bald eagles, black bear, bobcats, and coyotes. 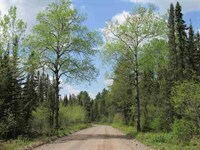 There is immediate access to the maintained north-south Multi-Use State Trail (No. 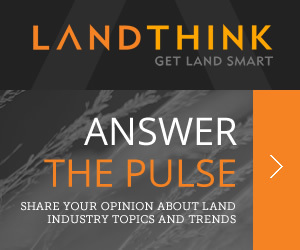 5) for ATVing, Cross-Country Skiing, Dirt Biking, Hiking, Horseback Riding and Snowmobiling. 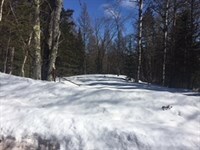 The Moose Country Snowmobile Club been provided trail access by the Current Owners, which will expire upon the change of ownership. 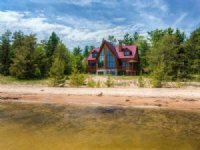 The secluded property is nicely wooded, slopes gently to the shoreline, and there is a gravel driveway already in place. 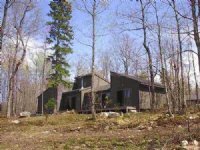 It is located on the southeastern side of the lake, with year round access, and telephone and electricity available at the road side. 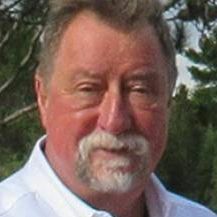 Seller will consider Land Contract offers. Call For Your Private Tour Today. From the L'Anse Welcome Sign take US41 south 41+/- miles to the M-95 Intersection. Take a right and go 7+/- miles to County Road LLK. Take a left and go into North Republic. In North Republic take a left onto Kloman Avenue. Go to end, and stay right to Co Rd LF to Perch Lake -- Look for the 2nd lot after the public access boat launch. 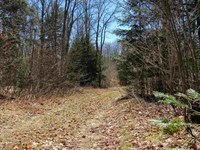 When calling broker, please say, "I found your listing Parcel A East Rd, Mls 1080068 on FARMFLIP."